Paris Jackson appears to be very happy with her current boyfriend, Michael Snoddy (and she hasn’t been afraid to share photos of the two of them packing on the PDA), but on Monday the couple found themselves in the middle of a bit of controversy. But Jackson wants people to know that the man she’s dating is anything but racist. In fact, she thinks his decision to cover his tattoo speaks volumes about the type of person he is. Taking to the comment section of the post, she weighed in on the debated about Snoddy’s cover-up, explaining that it was his idea to cover up the tattoo. She added that he initially wanted to black out the whole tattoo, but she and Lewis came up with an alternative. 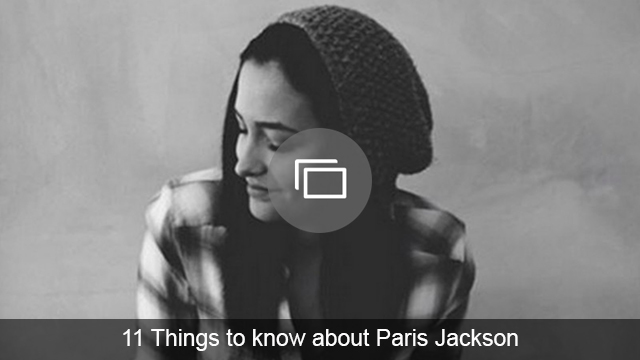 More: Wait, wait — did Paris Jackson secretly get married to her BF of six months? Jackson also reportedly took a screengrab of her comment and posted it on Instagram (she has since deleted the post). She captioned it with, “Can we all finally move on now?” She also took to Twitter on Monday to write a cryptic tweet, which we assume is directed at those who have been slamming Snoddy. Yep, no matter what, Jackson has proven that she has Snoddy’s back — and that she’s willing to fight for him. What are your thoughts on the cover up of his tattoo? Share them with us in the comments below.